Joe and I were planning out our Christmas menu last night and it made me giggle how much we love our finger foods. I swear we’ve decided on 6 different finger foods and it’s just us and my parents coming. It’s Christmas though so we’re entitled to it, right?! The thing that I love about Finger Foods is that most of them can be eaten any time of the year and really at any point in the day. 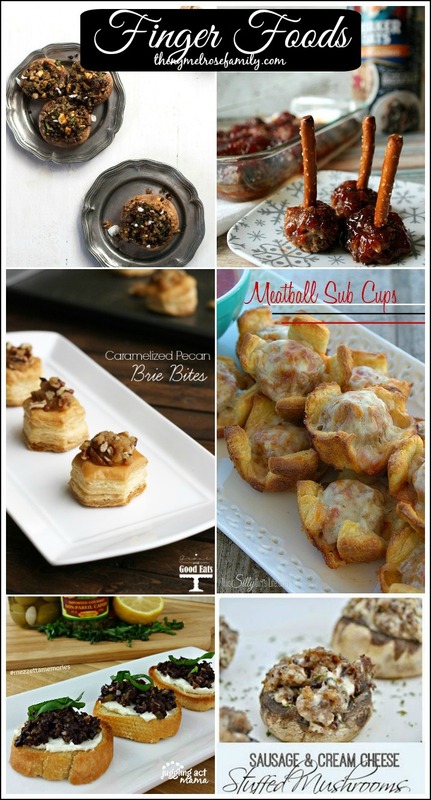 This collection of Finger Foods will definitely help you out no matter if you’re working out your Christmas menu, thinking ahead to New Year’s Eve or just looking for a collection of Finger Foods for your next party. Click NEXT to view the NEXT Finger Food in this collection. I don’t know if I can choose either! They all look way to yummy!